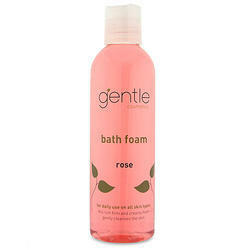 We are instrumental in manufacturing a wide assortment of Body Wash Gel. CETAPHIL RESTORADERM SKIN RESTORING BODY WASH.
Awaken your skin and cleanse and wash away a day of pollution and environmental damage with our Avocado body wash.This body wash with the goodness of avocado, helps in maintaining supple skin feel. Ingredient: Aqueous extract derived from 25 % Eucalyptus leaves (Eucalyptus oblique). • Eucalyptus is dynamite for drowsy souls, and is used all over the world to clear lungs, relax muscles and rejuvenate the spirits of even the most lagging and tired. Ingredient:Aqueous extract derived from 25 % Eucalyptus leaves (Eucalyptus oblique). Designed for tender, baby soft & sensitive skin, Mauri Jasmine body wash helps alleviating itch, irritation & prickly heat and soothes & heals skin. We offer a best range of Body wash and as we are a reputed manufacturer, supplier and exporter of world-class Cosmetics and Perfumes our products are made from best quality raw material. Inclusive of Skin Care Creams, Hand & Body Lotions and Face & Body Scrubs, we offer optimum quality Skin Care Products.